Keith Hall was born in 1934 in Bottineau, North Dakota. He was commissioned through the Air Force ROTC program on June 3, 1956, and went on active duty beginning March 24, 1957. Lt Hall next completed pilot training and was awarded his pilot wings at Laredo AFB, Texas, in May 1958, followed by Interceptor School and F-86 Sabre Combat Crew Training from May to November 1958. His first assignment was as an F-86 pilot with the 330th Fighter-Interceptor Squadron of the 329th Fighter Group at Stewart AFB, New York, from January to July 1959, and then as an F-101 Voodoo pilot with the 75th Fighter Interceptor Squadron at Dow AFB, Maine, from July 1959 to May 1962. Capt Hall next served as an F-102 Delta Dagger pilot with the 16th Fighter Interceptor Squadron at Naha AB, Okinawa, from May 1962 to December 1964, followed by F-4 Phantom II Combat Crew Training, and then service as an F-4 pilot with the 16th Tactical Fighter Squadron at Eglin AFB, Florida, from January 1965 to October 1967. He then deployed to Southeast Asia where he served as an F-4 pilot with the 13th Tactical Fighter Squadron from October 1967 until he was forced to eject over North Vietnam and was taken as a Prisoner of War on January 10, 1968. After spending 1,891 days in captivity, Maj Hall was released during Operation Homecoming on March 14, 1973. He was briefly hospitalized to recover from his injuries at Keesler AFB, Mississippi, and then served with the 3246th Test Wing at Eglin AFB from November 1973 to June 1974. 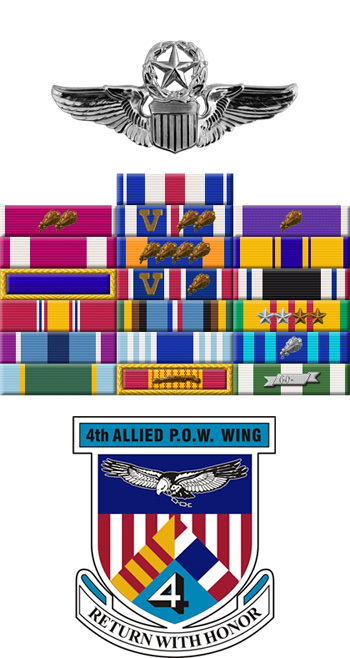 He attended the Industrial College of the Armed Forces at Fort McNair, Washington, D.C., from July 1974 to June 1975, and then served on the staff of Headquarters Tactical Air Command at Langley AFB, Virginia, from July 1975 to July 1978. 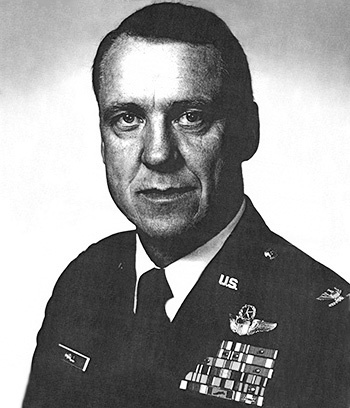 Col Hall's next assignment was as Deputy Base Commander for the 86th Tactical Fighter Wing at Ramstein AB, West Germany, from July 1978 to February 1979, as Base Commander at Ramstein from February to December 1979, and then as Commander of the 86th Tactical Fighter Group at Ramstein from January 1980 to May 1981. He was Vice Commander of the 52nd Tactical Fighter Wing at Spangdahlem AB, West Germany, from May 1981 to July 1982. His final assignment was as Director of Requirements with Headquarters Air Defense Tactical Air Command at Langley AFB from July 1982 until his retirement from the Air Force on August 1, 1983.